Anyway, this got me pondering my bookshelves as I ran a bath and thought I'd share my favourite shelf. Now I don't order my shelves in any sort of " favouritist" manner but this one shelf pretty much holds the cream of my comic art collections. Monthlies are all stashed away in boxes, trades on a bookshelf and novels, general books and some comic books on another...but this one shelf houses all my most treasured books. 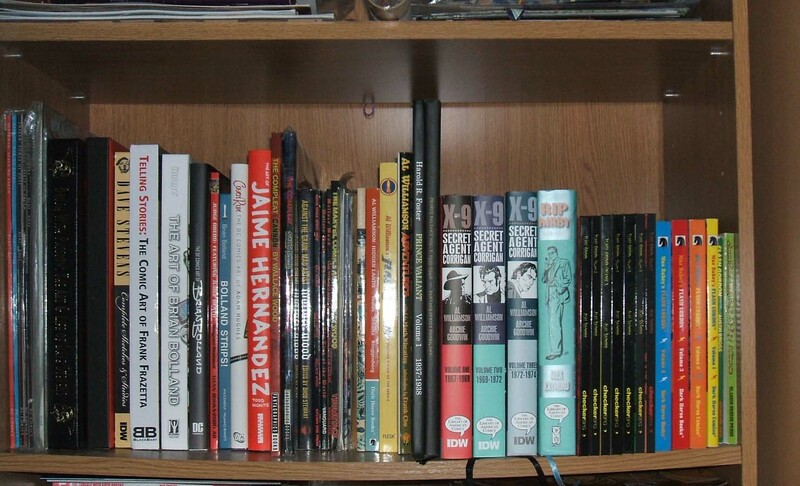 So, from left to right: the Alex Ross/Paul Dini collaborations (I know he has his critics but I like Ross' work, especially on the Marvel and DC characters) sit alongside the similar-sized Dave Stevens Vamps and Vixens collection, which is naturally next to the deluxe Dave Stevens hardbacks: the Brush With Passion biography/retrospective, The Rocketeer Complete Adventures and the Complete Sketches and Studies collection. These will be joined by an imminent collection of all of Stevens' non-Rocketeer comic work, which is one of my most anticipated upcoming books. 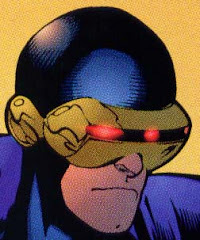 Next is a collection of classic Frazetta comic strips before moving on to four Brian Bolland collections (including a signed "Art Of" and again an upcoming collection of all of his Dredd strips, sweet!) and my signed & sketched Cover Run, the collection of Adam Hughes DC covers. 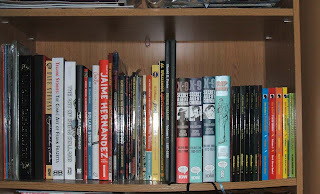 Next up is the Jaime Hernandez book and then a huge wodge of Wally Wood and Al Williamson collections. Two Hal Foster Prince Valiant collections briefly interrupt the flow, which resumes with the Williamson Secret Agent X9 collections, before segueing across to Alex Raymond's first Rip Kirby collection and the complete Raymond and Mac Raboy Flash Gordon collections, plus a couple of other reprint volumes. So, what's pride of place on YOUR bookshelves...?